It boosts the storage and bundles a Type Cover for a total of $20 more than Microsoft's least-expensive model. 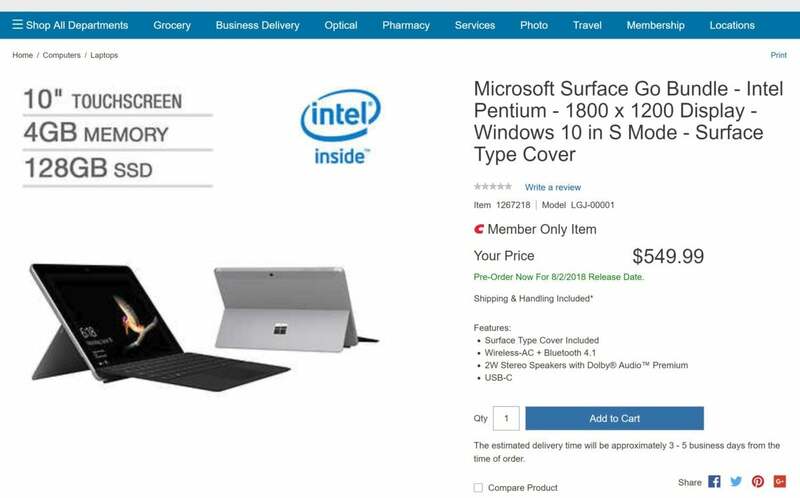 When Microsoft’s 10-inch Surface Go tablet ships August 2, there will be another configuration to consider along with Microsoft's two: Costco’s bundle, which looks like the better entry-level deal for this device. It’s mostly a question of math. The Costco bundle offers 4GB RAM, 128GB SSD, and the Type Cover for $550. Add $99 for the black Type Cover (or $129 for another color), and the prices for both increase to $498 and $648, respectively. The Costco bundle offers better bang for buck. This Surface Go option is available to Costco members. The device does include the traditional microSD card slot to add some capacity. You could also run apps in the cloud, such as Office Online, to reduce your local app load. 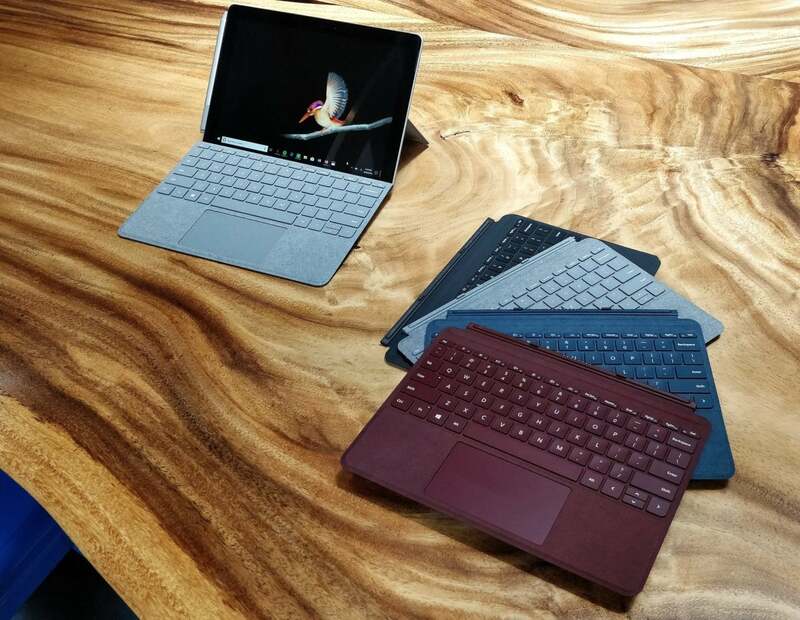 There’s a technical reason for preferring the 128GB option, too: Microsoft’s 64GB Surface Go uses eMMC storage, traditionally a slower option than an SSD. Given the Pentium processor under the hood, you’ll want anything that can make the Go feel perkier. We’re a little concerned about the RAM. The 4GB provided in the lower-end model from Microsoft and the Costco model can mean reduced performance with several tabs open—even Microsoft Edge tabs, using the included Windows 10 S operating system. Microsoft touts Windows 10 S as a more streamlined, optimized operating system, and we’ve seen some proof of that in our Surface Laptop review, which was tested with Windows 10 S and Windows 10 Pro. Still, our gut says the 4GB RAM/64GB eMMC option will be the least appealing of the choices. We’ll be interested to see what the true performance of a 4GB Windows 10 S machine running on top of a Pentium processor will be. Thanks to Neowin for spotting this. What we’d advise: There’s an axiom in the games world: Never preorder, for the reason that what is promised is rarely what’s delivered. It’s very possible that the Surface Go might be the work-on-the-go device that Microsoft promises. But we’d still encourage you to wait and see how the device performs in the real world.